What is Scarab Scarab DiskDoctor ransomware? And how does it execute its attack? Scarab Scarab DiskDoctor ransomware is a file-encrypting threat and is an old variant of Scarab ransomware that’s making a comeback in October 2018. Instead of the .DiskDoctor extension, it now uses the .DD extension in marking its encrypted files. This newer variation of DiskDoctor ransomware still uses the same sequence in executing its attack. “Warning all your files are encrypted !!! In response you will receive further instructions. data, as each user has a unique encryption key. How does Scarab Scarab DiskDoctor ransomware circulate over the web? Scarab DiskDoctor ransomware, just like other Scarab variants, utilizes malicious spam emails to infect users. These spam emails often contain obfuscated attachment or corrupted links to launch DiskDoctor ransomware. Thus, opening files from suspicious-looking senders is certainly not advised. Eliminate Scarab DiskDoctor ransomware from your system by following the removal guide below as well as the advanced steps that follows. Step 1: Press the Ctrl + Alt + Delete keys at the same time to open a menu and then expand the Shut down options which is right next to the power button. 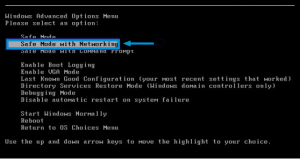 Step 4: Click on Restart and tap F4 to select Safe Mode or tap F5 to select Safe Mode with Networking. Step 6: Go to the Processes tab and look for any suspicious-looking processes that could be related to Scarab DiskDoctor ransomware and then end their processes. Step 7: Exit the Task Manager and open the Programs and Features section under Control Panel by pressing the Windows key + R, then type in appwiz.cpl and then click OK or press Enter. Step 8: Look for any suspicious-looking programs that could be related to Scarab DiskDoctor ransomware and then uninstall it. Step 10: Navigate to the following locations and look for the malicious components created by Scarab DiskDoctor ransomware like HOW TO RETURN FILES.txt and make sure to delete them all. Step 13: Navigate to the listed paths below and look for the registry keys and sub-keys created by Scarab DiskDoctor ransomware. Step 14: Delete the registry keys and sub-keys created by Scarab DiskDoctor ransomware. 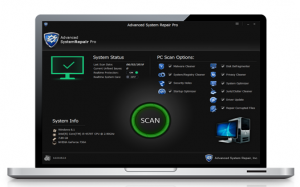 Restoring your encrypted files using Windows’ Previous Versions feature will only be effective if Scarab DiskDoctor ransomware hasn’t deleted the shadow copies of your files. But still, this is one of the best and free methods there is, so it’s definitely worth a shot. To ensure the removal of Scarab DiskDoctor ransomware from your system including the malicious components it has created on your system, follow the advanced steps below.